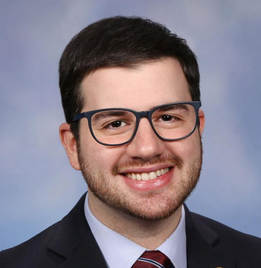 Current senator: The current senator for the 11th District is Sen. Jeremy Moss (D-Southfield). The district includes Farmington, Farmington Hills, Ferndale, Hazel Park, Huntington Woods, Lathrup Village, Madison Heights, Oak Park, Pleasant Ridge, Royal Oak Twp. and Southfield. Sen. Moss served in the Michigan House before being elected to the Michigan Senate in 2018. Before joining the Legislature, he served on the Southfield City Council. Sen. Moss raises money through a candidate committee, Jeremy Moss for State Senate. He is also connected to a leadership PAC, Making Our State Stronger. He previously raised money through a House candidate committee, Jeremy Moss for State Representative.